From time immemorial, individuals touched by spirit have stood as witnesses and then reporters of a single story: the transformation of the human soul. This story has always been only one great story. It begins with the seeker responding to a persistent inner stirring. It leads to a journey - a search filled with seemingly endless interior perils and pitfalls. It ends with the discovery of a new level of consciousness revealed through a long-awaited union with the sacred. 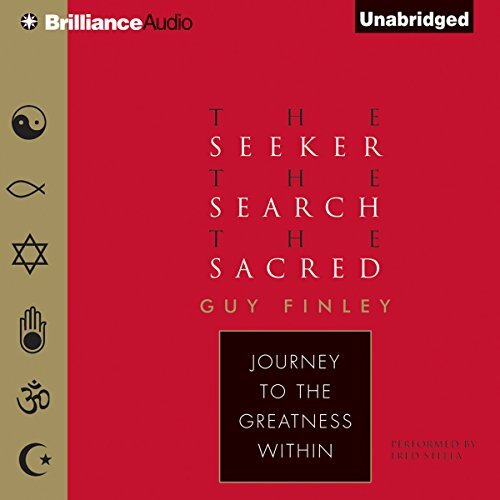 In this remarkable book, Guy Finley presents passages from all the major religious traditions and philosophical systems and demonstrates - despite differences in language and form - how they all work in concert to describe different aspects of a single compassionate, loving, and divine intelligence. The universality of this spiritual unfolding makes evident the untold secret of this one great story: within us is seeded a compelling need to fulfill what we are all created to be. The clearer the truth of this one story is made evident, the greater the possibility of a new understanding that can help heal our world. May this book inspire you to claim your birthright, and to find your place on this journey in the greatest story ever told. ©2012 Guy Finley (P)2012 Brilliance Audio, Inc. Thanks Guy Finley for collecting these profound words of wisdom and the stories that illuminate the way.